through the power of focused thought and intention. 1,000,000 + change makers certified in the ThetaHealing® technique who are changing their life and the life of others in more than 152 countries throughout the world. Seats are limited. Reserve your spot now. All courses of the ThetaHealing curriculum are offered by BeliefEmpowerment. Listed below are only the foundational courses. This course builds upon the foundations learned in the basic class and allows the student to deepen their skills and understanding of belief work, digging and downloads. This course introduces the ThetaHealing philosophy of the Seven Planes of Existence. The emphasis of this seminar is centered around clearing resentments, rejections and regrets which hold us back and limit access to our intuition, potential and abilities. 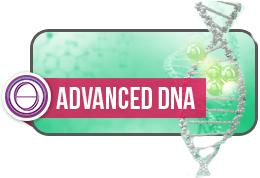 ThetaHealing Advanced DNA. The Next Step. 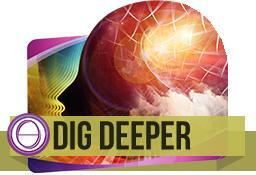 ThetaHealing Dig Deeper. The Final Preparation. 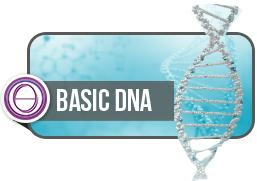 ThetaHealing Basic DNA. Begin Here. This seminar is the foundational course that introduces the technique of ThetaHealing. It serves as a prerequisite to all other courses if you wish to continue with further classes. This course introduces the student to the power of energy and thought. The core of this seminar is the practice of techniques that allow a person to identify and change life patterns held in place by core, genetic, historic and soul beliefs, either self-inflicted or externally imposed. The student learns how to identify limiting beliefs and replace them with empowering ones in addition to downloading new feelings allowing a shift in DNA and perception. At the end of this transformational three-day course, you will be able to apply the teachings of the class immediately. This class is 75% practical experience. An introduction to working with fear and resentments, clearing them. This course teaches you how to supercharge manifesting using the theta state which is 80-90% effective when compared to talking about your goals (30-40% effective) positive thinking, affirmations or visualizing (50% effective). Individuals will have an opportunity to release resentments which is the main block to manifesting. Additionally, students will participate in belief work to clear themselves in preparation to manifesting a life they truly desire and becoming a co-creator with universal intelligence. You will learn a powerful manifesting meditation technique as well as other tools, and understand how to prepare and hold a space in your life to allow greater things to come in. In ThetaHealing, the concept of manifesting is the belief that it is possible to create from the realm of the unseen - using Source energy - to bring into the physical material real. It is based on the premise that every word, thought, action and deed is reflected by what we are manifesting in our lives - as our thoughts, words, deeds and actions reflect what our current reality and state of mind is, serving as the external mirror of our internal world by each choice made. We are actually able to create what ever life we desire by clearing enough limiting beliefs and using focused thought and intention. However, in order to manifest our reality and become a co-creator with Source energy, we must be clear about what you want in your life first and give direction to the mind. 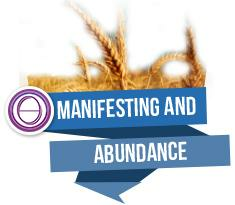 ThetaHealing Manifesting & Abundance. A good follow up. This course teaches you how to master your digging skills and belief work, which is essential when working on yourself and others. This seminar is designed to get all ThetaHealers well trained at this essential technique enabling them to become solid and grounded in this skill, so students are able to find core beliefs with confidence. Why is digging work so important? Unless beliefs are successfully identified, the true core and origin of the issue won't heal and as a practitioner, you won't know what beliefs to change. If core beliefs are not identified, the changes made through belief work may only be temporary, and un-cleared negative beliefs can be barriers to true healing. This seminar will empower students to understand their own behaviors and lives, as well as those of their clients. It will help them make the necessary changes to help them get to the next level in their healing process. Both practitioners and clients will emerge clear and balanced with a conscious understanding of the interwoven subconscious belief patterns and dynamics. After completion of this class, students of ThetaHealing can begin practicing on clients and may continue their ThetaHealing journey by taking advanced classes if they wish to do so.